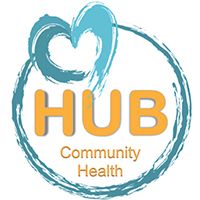 HUB provides no-cost medical management and eye care assistance to low-income individuals with uncontrolled diabetes / hypertension referred by the two Chesapeake clinics. We are currently piloting our Youth Diabetes program with 150 young people from the Boys and Girls Club. The HUB, which is a joint diabetes management program with Coalition partners from Chesapeake Regional Medical Center, Chesapeake Health Department, the Chesapeake Care Clinic, the Liberty Street Clinic, the Diabetes Association, Norfolk State University, Virginia Eye Consultants and Chesapeake EMS working together to provide a high touch program that addresses the medical and social needs of individuals with high level diabetes. The program is supported by the Hampton Roads Community Foundation and the Virginia Eye Foundation. It provides low income individuals affected by hypertension and diabetes with individualized case management, needed medications and medical supplies, and counseling support. Program participants have recorded an average 20% reduction in A1C levels, which indicates to us this approach is proving effective and strengthens our resolve to expand. The HUB is located at Southside Baptist Church on Bainbridge Blvd, in South Norfolk. Plans are underway to expand the HUB concept to other locations. If interested in volunteering for this program, medical, counseling and social-work professionals are needed for the expansion opportunity.